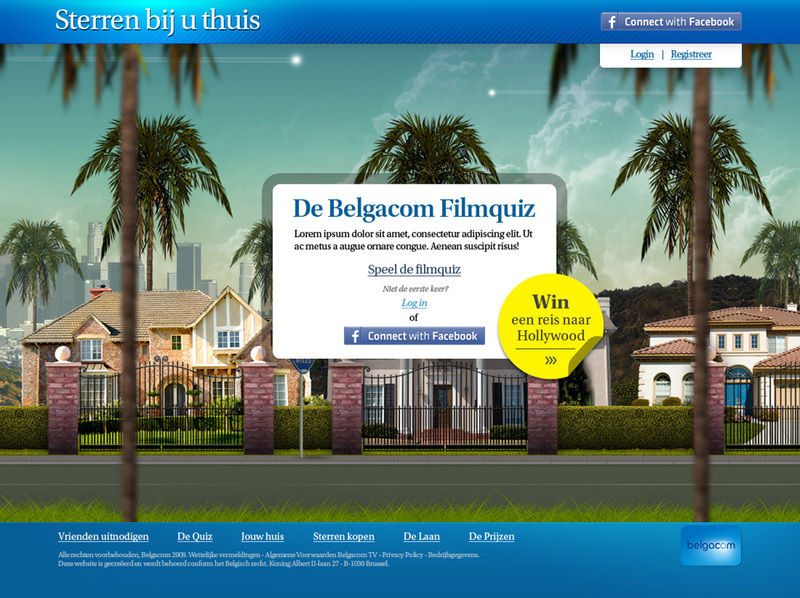 Users were greeted by a scrolling parallax street filled with various mansions. … who they could then put in their own mansions. As players rose or fell in the ranking, they moved up or down the road. In the spring of 2009, VVL commissioned us to build a fun online campaign to coincide with their “Who took my badjas” TV commercials. The creative team came up with a TV & film quiz featuring a social networking element, using Facebook Connect. The objective of the game was to fill your house with 7 celebrities, one for each room. Upon registration visitors were told to build a villa on an infinite virtual street. They then had to partake in a daily pop-culture quiz to earn credits, with which they could then buy celebrities to populate their house with. The higher the “star value” of their chosen celebrities, the higher the players would rise in the ranking. 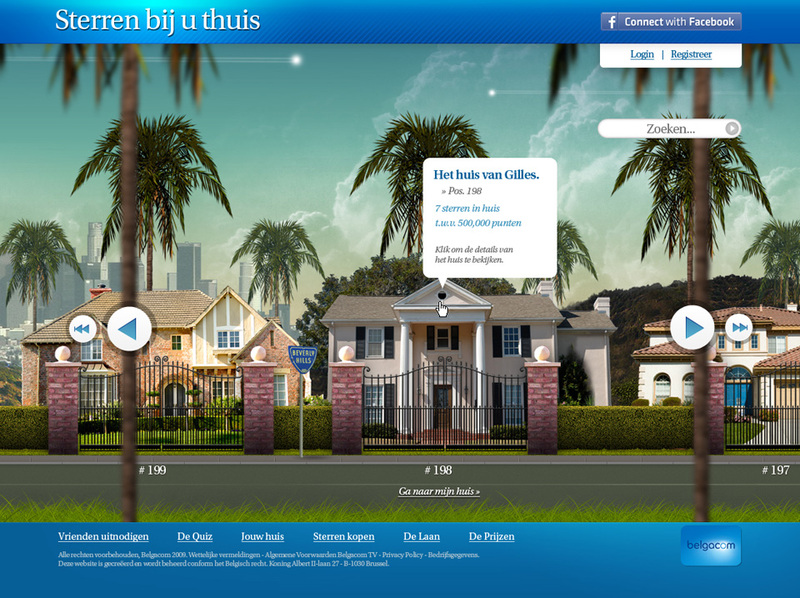 It fell upon me to design the different villa’s, the site’s UI and script the whole thing in Flash.